The 2017 Maine Jr Ski League Chisholm Challenge, held at Black Mountain on January 16th, was a big success. In the Boys combined Giant Slalom/Slalom event, Jake Tyler of the Sugarloaf Area Ski Team came in first with a combined gs/slalom time of 1:10,27. Josh Smith, skiing for Farmington Area Ski Team, was second at 1:10.41. Noah Koenig of Sugarloaf was third at 1:14.93. It is with great sadness that we announce the loss of Black Mountain and Chisholm Ski Club legend Chummy Broomhall. Chummy, 98 years old, passed away December 30, 2017. His family is planning a life celebration to be held this summer. Details of the life celebration will be posted as the family finalizes the arrangements. 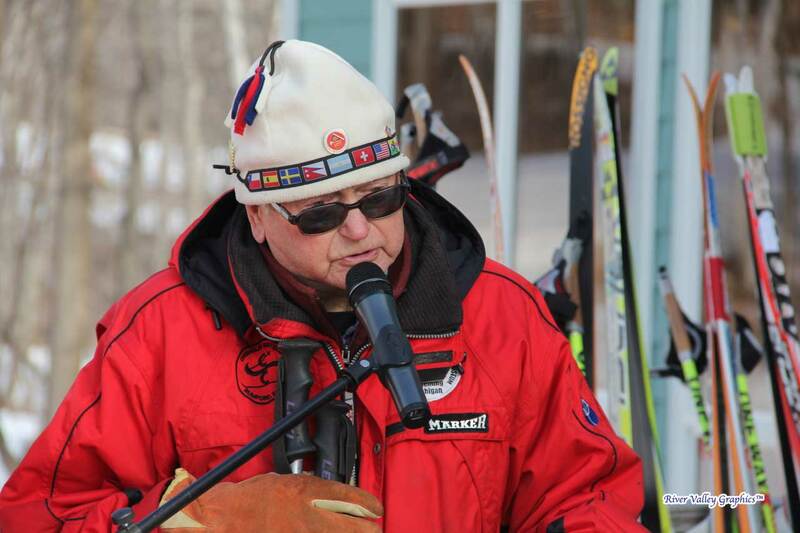 This fund will benefit aspiring nordic/biathlete skiers from Maine who may need some financial support to pursue their dreams of making it to the Olympics. In the High School Giant Slalom race held at Black Mountain on January 14th, Marranacook High School's Rachel Tooth won the gold with a combined 2-run time of 1:52.10. Second place went to Ella Simon of Camden Hills at 1:54.27. Simon's teammate Audrey Heriz-Smith was third with a combined time of 1:54.90. Camden Hills was the top scoring team with 26 points, followed by Maranacook at 36 and Edward Little with 43. In the boys competition Nick Newman of the Mountain Valley Falcons came in first on his home course with a combined time of 1:42.37. Edward Little High School's Kyle Mooney was second with a combined score of 1:48.85 with Lucas Alley of Spruce Mtn. HS was a close third at 1:48.95. The Falcon boys had the top team score with 33 points. Camden Hills (35) and Edward Little (43) finished 2nd and 3rd respectively. Classical or Freestyle, it doesn't seem to matter much to Farmington's Emma Charles. She continues to have success at the John Roderick Trail System at Black Mountain, skiing the Jr. Sassi 3K in :10:14.4 to capture 1st place on January 27th. It was the second victory for Charles on the storied trails in Rumford, having won the Chisholm Challenge 3K freestyle on January 15th. Zuzia Varney of Portland had the second fastest time, finishing the course in :11:06.1. Farmington Area Ski Team took the next four spots with Brynne Robbins grabbing the bronze medal with a time of :11:29.3. She was followed by teammates Kamryn Joyce (:11:41.7), Bridget Reusch (:11:46.7), and Moriah Reusch (:11:48.5). Also finishing in the top ten were Frannie Freeman and Meribel Collin or Portland, Sanja Hirsch of Maranacook, and Naomi McGadney of Central Maine Ski Club. David Herr of Canaan, Vt. outdistanced 12 marathoners to capture the championship in the 6th Annual John Roderick Marathon at Black Mountain of Maine on February 3rd. In the women's competition, Alison Chase of Orono, ME completed the 50K course in 2:59:43.6 to capture gold For more information, click here. Yarmouth High School Senior Sophia Laukli took on the Sassi 5K Women's Classical and a field of 152 skiers and scorched the course, crossing the finish line in :14:25.7 to win the gold medal at Black Mountain of Maine on January 27th. Laukli's time was nearly one minute faster than the next competitor. 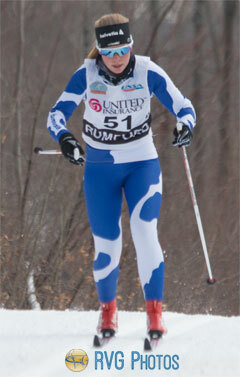 Taking the silver was Olivia Skillings of Maine Coast Waldorf Academy with a time of :15:25.0. Winning the bronze was Jenny Wilbraham of Morse HS in Bath with a time of :15:58.4. The race on the John Roderick Trail System was the first using the Chisholm Ski Club's new track setter. It was the third race of the day, with the Jr. Sassi 3K taking place earlier in the morning, and the tracks set up well and lasted through the last racer of the day. Rumford, ME - In the first Nordic Ski Race of the season at Black Mountain Ski Resort on December 27th, Gould Academy skiers Marcus Wentworth and Stephanie Nicols took top honors in the Chisholm Ski Club's Kick In Sprints. These freestyle races consisted of timed 15 second interval starts, followed by quarter, semi, and final heats. Wenworth outdistanced Mt. Blue's Tucker Barber, who took second place in the men's division. Nicols, who had the 8th best time in the qualifying round, which included 107 skiers of both sexes, all ages. In the final heat, she defeated runner-up Julia Ramsey of Mt. Blue. In the middle school competition, Bethel Outing Club's Eli Shifrin took first for the boys, while the top girl finisher was Emma Charles of FAST. Congratulations to all skiers for a great early season day of competion. Race Photos are available at RVG Photos, a division of River Valley Graphics.